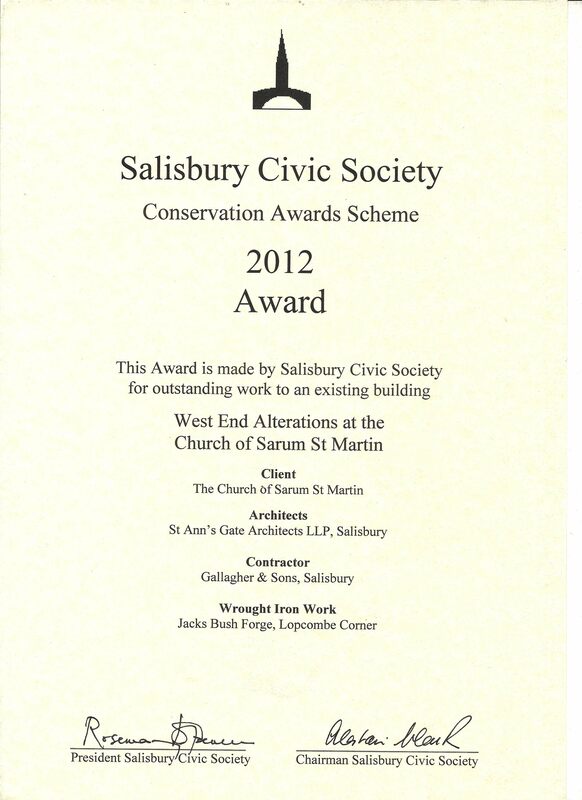 The business was very proud to receive an award from the Salisbury Civic Society for the High Quality traditional Iron Railings & Gate, Forged and installed in Sarum St Martins Church. AutoCAD level 2 in 2D design, Cricklade College, Andover. Certificate in Gate automation installations from BFT 2007. Revised 2012.